Top. 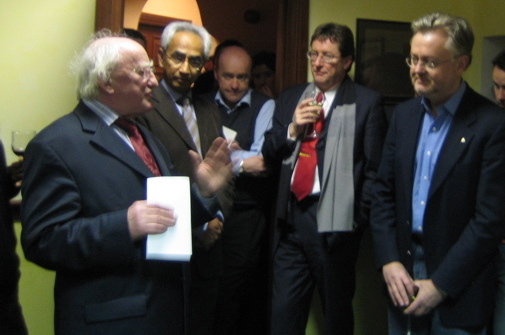 Michael D. Higgins and myself at the tenth anniversary celebrations of the Irish Centre for Human Rights, last November. Bottom: Michael D. Higgins speaking at the Irish Centre for Human Rights, with Vinodh Jaichand, Sean Love, Jim Browne and myself. Our friend and colleague, Michael D. Higgins, has been elected the ninth president of Ireland. He is a great supporter of human rights, for which a commitment of a lifetime has given him an international reputation. Michael D., as he is known to everyone (in Ireland, we even call the President by their first name), is an adjunct professor on the faculty of the Irish Centre for Human Rights. He has been a regular participant in our activities over the years. The position of President of Ireland is of immense symbolic importance, even if the actual powers of the head of state are relatively limited. The election of Michael D. Higgins demonstrates the profound commitment of the people of Ireland to equality, non-discrimination, social justice, international development and solidarity with victims of aggression and occupation. His eloquent voice has already been heard around the world. 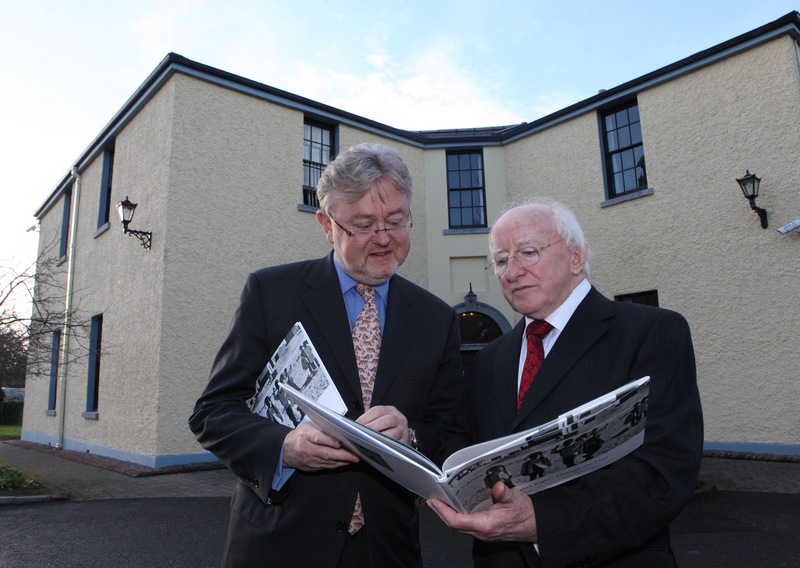 Now it is strengthened by the prestige of his office and the magnitude of his mandate from the people of Ireland. At the invitation of the Coalition for the International Criminal Court, a prestigious panel has assessed the current list of candidates for judicial office at the Court with a view ‘to encourag[ing] States Parties to nominate the most qualified candidates to be judges of the International Criminal Court’. The report published earlier this week describes most of them as ‘qualified’ without further comment, but the panel expresses reservations about four of them. Although the idea of such an assessment is good, I’m not convinced that the exercise is all that helpful or constructive. The Tunisian candidate was declared not qualified on this basis. The panel acknowledged that although he ‘has extensive expertise in criminal law, including international criminal law, and is engaged in academic activities and professional societies relating to criminal law, the materials reviewed by the Panel, including extensive writings accompanying the candidate’s CICC judicial questionnaire, do not indicate that the candidate’s practice substantially involved criminal proceedings’. The Mexican candidate had a similar fate. The panel wrote that he ‘possesses extensive experience in government service, such as in dealing with matters related to criminal law and procedure, including extradition and criminal law policy issues. As Deputy Prosecutor of Legal and International Affairs in the Office of the Attorney General of Mexico, the candidate advocated on behalf of the Government of Mexico in a case involving the diversion and recovery of public funds. The Panel finds, however, that the candidate did not have substantial direct involvement in criminal proceedings.’ And finally, the Cypriot candidate was a practicing lawyer for five years and a family court judge for twenty-years. Many of the judges already elected to the Court in previous elections might not qualify according to these rigorous standards. The panel has adopted a rather strict construction of article 36 which sets out the criteria for qualification of judges. This is unfortunate, because the rather detailed terms of article 36 can have the consequence of excluding well-qualified candidates. What we require at the Court are wise, sensible and fair-minded individuals. That should be the focus of any assessment of qualifications. Unfortunately, with its focus on these rather bureaucratic details, the panel spots the trees but misses the forest. It might, instead, have considered the judicial record of some of the candidates. For example, the first candidate on the list, judge Bankole Thompson, was declared qualified. He has already served on the Special Court for Sierra Leone. I would not say his record was particularly distinguished. In the final trial judgment in the ‘CDF case’, he dissented, voting to acquit two men charged with responsibility for terrible atrocities not because they were not involved in the acts in a factual sense but because the judge considered they were defending a democratically elected government and this offered them a full defence. This absurd suggestion no doubt went over rather well with the Government of Sierra Leone, which seems to have rewarded him with their nomination to the International Criminal Court. Shouldn’t the panel have warned members of the Assembly of States Parties of concerns about this man’s fitness to serve? But on paper according to the terms of article 36, he ticks all the boxes so the panel finds him to be ‘qualified’. I'd take a judge with twenty-two years of experience, even if it was in family law cases, over an individual with such a misguided view of personal responsibility for atrocity crimes. This is a plainly discriminatory comment that, moreover, flies in the face of evidence that quite elderly judges serve international criminal justice with great distinction. I think of two of our greatest international judges, who sat into their eighties: Mohamed Shahabbuddeen and Theodor Meron. Judge Meron is still working away at the International Criminal Tribunal for the former Yugoslavia, contributing to its activities with his immense wisdom and experience. Judge Li, who was in the famous Tadic Jurisdictional Decision, was more than ninety. An age limit, even if imposed only informally is a bad idea. This, too, is a bureaucratic attempt to address problems of qualification of judges. Moreover, the fact that many states have archaic legislation imposing age limits is not a good argument for extending this to the International Criminal Court. Everywhere, retirement ages are being increased to take account of greatly extended human longevity. Policies that fail to adjust to this are quite plainly discriminatory, and contrary to fundamental human rights principles. Judges should be assessed individually and not according to a formula, whether it is based upon age or professional experience. Many of our best judges would fail the tests proposed by the panel in this report. Another element in the issue of extradition and transfer to the Rwandan justice system. Yesterday, a Chamber of the European Court of Human Rights dismissed the application by a Rwandan genocide suspect who was fighting extradition to Rwanda by Sweden. It is the latest in a long line of cases from various jurisdictions in Europe as well as from the International Criminal Tribunal for Rwanda that address the fairness of the Rwandan justice system and the danger of inhuman treatment if suspects are returned to Rwanda for trial. A further dimension to these cases is that they concern genocide and not just ordinary crimes. There is an international legal duty to ensure that genocide suspects are brought to justice. Earlier this year, a Trial Chamber of the International Criminal Tribunal for Rwanda ruled that the transfer of a case to Rwanda could proceed. That decision is now on appeal. Several European states have considered extradition. In the UK, four cases proceeded through the courts but extradition was ultimately denied and the suspects were set free. They continue to live in the UK and have not been brought to justice. Finland chose to proceed domestically by way of universal jurisdiction. Sweden rather boldly decided to go ahead with an extradition, despite the British ruling as well as those of the International Criminal Tribunal for Rwanda denying transfer. The case has been pending before the European Court for more than two years. From the standpoint of the European Convention on Human Rights, there have been two issues, based upon articles 3 and 6. The article 3 issue concerns inhuman or degrading treatment, and it has not proven to be very difficult in any of the proceedings. The article 6 issue, about the risk of a flagrant denial of the right to a fair trial, has been more difficult, largely because the parameters of the European Court’s caselaw remain uncertain here. It all goes back to a reference in the famous Soering decision of 1989. Soering denied extradition based upon a possible violation of article 3, but said, in passing, that issues might also arise under article 6. 115. It should be noted that, in the twenty-two years since the Soering judgment, the Court has never found that an extradition or expulsion would be in violation of Article 6. This indicates that the “flagrant denial of justice” test is a stringent one. A flagrant denial of justice goes beyond mere irregularities or lack of safeguards in the trial procedures such as might result in a breach of Article 6 if occurring within the Contracting State itself. What is required is a breach of the principles of fair trial guaranteed by Article 6 which is so fundamental as to amount to a nullification, or destruction of the very essence, of the right guaranteed by that Article. In my view, the earlier decisions of the International Criminal Tribunal for Rwanda were overly harsh and, ultimately, wrongly decided. They had a terrible influence on justice officials and courts in Europe, and ultimately contributed to impunity for genocide (even if this was not their intent). One of the challenges to international justice is its ability to make fair assessments of domestic legal systems. At the International Criminal Court, a case may be admissible if the national justice system is ‘unable’ to proceed. Setting standards that are too high will mean that the international system will always prevail, at least when poor and developing countries are concerned. We are constantly improving our expectations of fair trial standards. Even in rich countries, the expectations are much higher than they were decades ago. But does that mean that all trials in the past were unfair? There is something wrong with such assessments. One of our colleagues in the field of genocide studies, Taner Akçam, yesterday won an important case at the European Court of Human Rights. A Chamber of the Court held that Taner had been a victim of a violation of article 10 of the European Court of Human Rights as a result of his lecturing and writing on the genocide of the Armenians. Taner’s latest book, The Young Turks’ Crime Against Humanity: The Armenian Genocide and Ethnic Cleansing in the Ottoman Empire, will be published shortly by Princeton University Press. Taner is the author of an important book on the Armenian genocide, entitled A Shameful Act. A citizen of Turkey and Germany, he is currently a professor of history at Clark University in the United States. 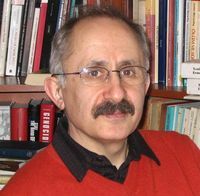 Taner is not the first Turkish intellectual to be prosecuted for a violation of the notorious article 301 of the Turkish Criminal Code which makes it an offence to denigrate ‘Turkishness’. In 2006 Taner wrote about the prosecution of Hrant Dink, an Armenian living in Turkey who was later assassinated by an extremist. Private complaints were lodged against him based on article 301, although the public prosecutor did not proceed. Before the European Court, he showed that in a four-month period in 2008 total of 116 people, 77 of whom were journalists, were prosecuted. He also claimed that the criminal complaints filed against him for his views had turned into a harassment campaign, with the media presenting him as a ‘traitor’ and ‘German spy’. From left, Professor Stephen Marks, Alfred Mwenedata, myself, Dr. Laurent Pech. Alfred Mwenedata successfully defended his doctoral thesis at the Irish Centre for Human Rights on 21 October. The subject of his thesis was the promotion and protection of human rights in the context of HIV/Aids. Professor Stephen Marks of Harvard University was the external examiner, and Dr. Laurent Pech was the internal examiner. Alfred is a law lecturer at the Kigali Independent University, in Rwanda. Congratulations, Alfred, on this important achievement. News reports today confirm that Antonio Cassese passed away yesterday. He had been ill with leukemia for some time, although he continued working at his most recent position, as judge at the Special Tribunal for Lebanon, until very recently. He stepped down as its president two weeks ago. The world has lost one of its greatest international criminal lawyers. Professor Cassese was already a very distinguished academic in the field of international law, specialized in the area of human rights, when he was elected as one of the first group of judges at the International Criminal Tribunal for the former Yugoslavia in late 1993. With hindsight, we know that this was the revival of a body of law that had lain largely dormant since the trials at Nuremberg and Tokyo in the late 1940s. But at the time there were many skeptics, and it was not then in the least bit obvious that something great was beginning. Nino was one of those who understood the importance of what was going on then. At the first plenary of judges of the International Criminal Tribunal he was elected the institution's first president, and it was from that influential position that he steered the fledgling court. He did more than that, of course, because he set the tone for the entire discipline. Rather boldly, in 1995 the Appeals Chamber over which he presided issued a seminal decision that represented a sea change in our understanding of the law. The Tadic Jurisdictional Decision declared that war crimes could be punished even when committed in internal armed conflict, and established the existence of crimes against humanity in peacetime. Seemingly controversial at the time, both principles were soon widely accepted and confirmed when the Rome Statute of the International Criminal Court was adopted in October 1998. Professor Cassese continue to exercise a profound influence on the development of international criminal law, serving as a judge on the Appeals Chamber and later on trial chambers until 2001. 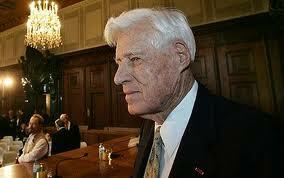 In 2004-5, he chaired an important United Nations inquiry into atrocities in Darfur. Later, he took up the presidency of the Special Tribunal for Lebanon. His final contribution early this year was a massive judgment on the international criminality of terrorism. Much longer obituaries will be written about this great jurist. This brief note summarizes some of his massive accomplishments. He was a warm individual, dignified and courteous. Like all great professors, he was deeply devoted to his many students and proteges. My sympathy goes out to his wife and family who, in their bereavement, can be immensely proud of his enormous contribution to the cause of peace and justice. According to the New York Times of 14 October, a recent Gallup Poll shows: 'support for the death penalty is at its lowest level since 1972. In fact, though, the decline, from a high of 80 percent in 1994 to 61 percent now, masks both Americans’ ambivalence about capital punishment and the country’s de facto abolition of the penalty in most places'. The poll is one further indication of the decline in American support for capital punishment. Other evidence is in the gradual removal of the death penalty from state legislation, the growing reluctance of juries to recommend capital sentences, and the increased hesitation of prosecutors to ask for the death penalty. Right now, all that is needed is the right case, good facts, and an open door at the Supreme Court. In 2005, the Supreme Court declared the juvenile death penalty to be unconstitutional. The arguments that it relied upon work just as well for the death penalty as a whole. It won't be around much longer. The interesting question is which country will get there first: the United States or China? On Tuesday, October 1, 1946, the International Military Tribunal (IMT) at Nuremberg announced its criminal trial judgments on twenty-two individual defendants. It found nineteen defendants guilty of various crimes (conspiracy; aggressive war; war crimes; and crimes against humanity) and three not guilty. The IMT sentenced seven of the convicted men to terms of imprisonment and the other twelve to death by hanging. Although Justice Robert H. Jackson, United States Chief of Counsel, was present in Courtroom 600 in Nuremberg’s Palace of Justice for the announcement of those IMT judgments, his work as chief prosecutor was effectively complete. Jackson left Nuremberg for the U.S. that same day, arriving back in Washington late on October 2. On Monday, October 7, he was back on the bench as the new U.S. Supreme Court term began. Later that afternoon Jackson delivered his final report to President Truman at the White House and resigned as chief prosecutor. By October 1946, Whitney R. Harris, formerly an important junior prosecutor on Justice Jackson’s Nuremberg team, had moved to Berlin and begun working in the Office of Military Government for Germany (U.S.) (OMGUS). Whitney Harris, who passed away last year. On Tuesday I flew to Nurnberg to be present at the final episode in the trial of the major war criminals. In spite of the efforts of General [Lucius] Clay to gain my admittance as a witness to the actual hangings, this proved impossible under a policy established by the Control Council which excluded members of prosecuting staffs from the execution chamber. However, familiarity with the scene and close contact with the newspaper men who were present was quite sufficient to enable me to report on the details. The executions took place in the prison gymnasium which you will remember as the small building about seventy-five yards from the door leading into the cell block where the “Big Twenty-one” were imprisoned. The secret that this building, which had been the workroom for the defendants who processed the thousands of affidavits submitted for the [defense of the indicted] organizations and had been used for a basketball game only the Saturday preceding, was to be the execution hall was kept so well that only two security officers knew the fact on Tuesday afternoon. The members of the four-man committee in charge of the executions were all generals, Roy V. Rickard for the United States, Paton Walsh for Britain, Morel for France and Molkov for Russia. They handled the arrangements very efficiently, except, of course, for the Goering suicide which could scarcely be charged to their neglect. This remains at writing the great mystery of the executions. At nine-thirty [on Tuesday night, October 15], the correspondents were permitted to inspect the cell block and observe the condemned. Jodl was writing a letter; Ribbentrop was in earnest conversation with a chaplain; Sauckel nervously paced the floor, and Goering simulated sleep, his hands outside of the blankets. At the forty-five, the guard noticed Goering twitching. He called for the corporal of the guard and they rushed into the cell. They saw Goering writhing in agony. When the doctor arrived the death rattle was in his throat. Goering had cheated the hangman. They found in the cell a small envelope marked H. Goering on the outside, inside of which were three notes, one addressed to Colonel Andrus [the prison commandant] from Goering, and the cartridge case in which the vial of potassium cyanide had been preserved. As yet, the contents of the notes have not been released for publication and how Goering got the poison remains unsolved. Goering’s body was brought into the execution chamber so that it might be viewed by the committee and by the two representatives of the German people present, Dr. Wilhelm Hoegner, Minister President of Bavaria, and Dr. Jakob Meistner, General Prosecutor of the High Court at Nurnberg. At eleven minutes past one o’clock in the morning of 16 October, the white-faced Joachim von Ribbentrop stepped through the door into the execution chamber and faced the gallows on which he and the others condemned to death by the Tribunal were to be hanged. Ribbentrop’s hands were unmanacled and bound behind him with a leather thong. He walked to the foot of the thirteen stairs leading to the gallows platform. He was asked to state his name. Flanked by two guards and followed by the Chaplain, he slowly mounted the stairs. On the platform, he saw the hangman with the noose of thirteen coils and the hangman’s assistant with the black hood. He stood on the trap and his feet were bound with a webbed Army belt. He was asked to state any last words, and said: “God protect Germany. God have mercy on my soul. My last wish is that German unity be maintained, that understanding between East and West be realized and there be peace for the world”. The trap was sprung and Ribbentrop died at 1:29. In the same way, each of the remaining defendants to receive capital sentences approached the scaffold and met the fate of common criminals. All, except the wordy Nazi philosopher, Rosenberg, uttered final statements. Keitel spoke as a Prussian soldier: “I call on the Almighty to be considerate of the German people, provide tenderness and mercy. Over 2,000,000 German soldiers went to their death for their Fatherland before me. I now follow my sons. All for Germany”. Gestapo Chief Kaltenbrunner declared apologetically: “I served the German people and my Fatherland with willing heart. I did my duty according to its laws. I am sorry that in her trying hour she was not led only by soldiers. I regret that crimes were committed in which I had no part. Good luck Germany”. Frank said quietly: “I am thankful for the kind treatment which I received during this incarceration and I pray God to receive me mercifully”. Frick spoke only the phrase, “Let live the eternal Germany”. Streicher shouted “Heil Hitler!” as he climbed the stairs and followed with the words: “Now I go to God, Purim Festival 1946. And now to God. The Bolshevists will one day hang you. I am now by God my father”. And his last words were, “Adele, my dear wife”. Sauckel protested: “I die innocently. The verdict was wrong. Got protect Germany and make Germany great again. Let Germany live and God protect my family”. Jodl spoke in the manner of an officer addressing his troops: “I salute you my Germany”. Seyss-Inquart climaxed the final statements when he said: “I hope that this execution is the last act of the tragedy of the second world war and that a lesson will be learned so that peace and understanding will be realized among the nations. I believe in Germany”. Seyss-Inquart died at 2:57 less than two hours after von Ribbentrop had entered the execution chamber. It was over—the trial ended, evil requited, and as Dr. Hoegner said, “Justice done”. I am now at work in Berlin in the Legal Division, Office of Military Government (U.S.), and my job is “Legal advice”, by which I am charged with answering any and all legal questions which may be referred by the Deputy Military Governor or departments of OMGUS. The Legal Division at present is primarily charged with the reinstitution of the legal basis for democratic government in the American Zone of Germany. The laws of the dictatorship have been repealed, but there remains the task of reenacting codes covering each branch of substantive law and reestablishing workable procedures. I hope this task will have been completed by next summer and that when I leave Germany the basis for a new democratic society will have been laid. C/o Postmaster, New York City. I very much appreciated your report of the Nurnberg executions. Apparently the military crowd were a little vindictive. They were very sore, I understand, because those who were sent to take charge of the executions were not put in prominent [courtroom] places at the [IMT] rendering of the verdict. The impropriety of playing up the executioners before the judgment of guilt had been rendered or sentence imposed does not seem to occur to such mentalities, if that is what they can be called by courtesy. The photographs [of the corpses of the hanged criminals and Goering] which were released in this country have produced an extremely bad impression and with very few exceptions there is criticism, even in the papers that published them, of the fact that they were released. All in all, I am rather glad that the military people shut us out and made it their own performance. I am glad that you are comfortably situated in Berlin and are at the job of giving legal advice. You certainly are having a very interesting experience and you may decide to make foreign service a career. The Trial Chamber in the Mladic case has denied the Prosecutor’s motion to sever or divide the charges and to hold separate trials. Here is the ruling. The idea was that there would be an initial trial only about the Srebrenica massacre. Then, depending upon the result, a second trial might be held, perhaps by the Residual Mechanism which is to replace the Tribunal when it concludes its activities in a year or two. It was an unusual application to begin with, because it was the Prosecutor after all who submitted the indictment. From the very beginning of the charges against Mladic, in the mid-1990s, there were two separate indictments . The first was issued in July 1995, and concerned the overall conduct of the conflict. The second appeared later, and was addressed to the Srebrenica massacre. But later the Prosecutor joined the indictments with a view to holding a single trial. Later, he changed his mind, but this time he required the permission of the Tribunal, which has been denied by yesterday's ruling. The reason for dividing the indictment and holding separate trials was concern that Mladic might not survive a long trial. The experience of Slobodan Milosevic, who died of a heart attack during his trial, weighs heavily here. So the Prosecutor thought that he would finish one relatively quick trial, obtain a conviction of Mladic for genocide accompanied by a life sentence, and then consider whether it was necessary to do anything more (or leave that matter to his successor). In yesterday’s ruling, the judges said that they could not rule on the issue of Mladic’s health and the likelihood he would survive a long trial because of a lack of evidence. The Chamber does not consider the Accused's health to be a factor because the Chamber has had no information properly presented to it on this subject. The Chamber has received no medical reports to review and considers the parties' submissions in this respect to be speculative and unsubstantiated… If the argument is that justice is better served by concluding with a judgement, whether in a conviction or acquittal, of at least one smaller trial on some portion of the current counts, the Chamber stresses that the parties must argue this clearly and directly in their submissions. If the basis underlying the Motion is the health situation of the Accused, the Chamber would have expected the parties to make detailed submissions in this respect, supported by medical documentation, and stresses that it cannot base its findings on media reports or other such sources. Again, no such medical documentation has been provided to the Chamber. (para. 30). It is interesting that this ruling appears at the very time that Mladic has been transferred to hospital in The Netherlands for pneumonia. But even then, evidence that a man in late middle-age is hospitalised for pneumonia does not mean he is in chronically fragile health or that his demise in imminent. No doubt it was difficult for the Prosecutor to accumulate hard evidence concerning Mladic’s health, because that would require his cooperation. But that also suggests that the Prosecutor’s application was based upon speculation rather than clear evidence. And speculation suggests that we are dealing with stereotypes about the longevity of men of a certain age who comes from a certain part of the world. Yesterday’s decision also considered the consequences of severance for the other part of the charges against Mladic, which are referred to as the Sarajevo, Municipalities and Hostages case. Furthermore, the Chamber acknowledges that the Motion envisions a second trial based on the proposed Sarajevo, Municipalities and Hostages Indictment, but notes that it does not address how a second trial also could be impacted by "unforeseen circumstances". Nor does the Motion address how, if the second trial could not be concluded due to these "unforeseen circumstances", a decision to sever could also impact justice for the victims of the crimes alleged in the proposed Sarajevo, Municipalities and Hostages Indictment. The Chamber also recognized the difficulties that might be imposed upon an accused who was forced to battle in one trial, while at the same time preparing a second. If Mladic does not survive the trial, the Chamber will get the blame as a result of this decision. It strikes me that there is a simple solution. The Prosecutor should simply narrow the charges and narrow the evidence. Convicting Mladic of genocide with respect to Srebrenica should not be overly challenging, given the earlier rulings of the Tribunal in Krstic and Popovic, not to mention the 2007 judgment of the International Court of Justice. The sentence will be high and, in any case, given that the Prosecutor thinks it unlikely Mladic can survive a long trial, can it really matter how high the sentence is? It may be hard for the Prosecutor to argue for a lengthy custodial sentence after claiming the poor man may not live for more than a few years. You can’t discuss these matters for very long before people start invoking ‘the victims’. The Prosecutor wants a speedy trial on one charge in order to respond to ‘the victims’. But the judges say, ‘what about the victims of the other crimes’? And my flippant suggestion about sentencing will surely provoke cries of outrage that only a life sentence can do justice for ‘the victims’. Of course, the interests of victims are an important factor in the entire international criminal justice system. But they get invoked at very turn, and in every direction. It seems that virtually any argument, no matter how fragile, can be burnished by invoking ‘the victims’. With the deposit of instruments of ratification of the Rome Statute by Cape Verde, the total of States Parties rises to 119. Cape Verde had signed the Rome Statute on 28 December 2000, a few days before the deadline. It is the first Portuguese-speaking State in Africa to join the Court. In July of this year, the appeal of Florence Hartmann from her conviction for contempt of court before the International Criminal Tribunal for the former Yugoslavia was dismissed by the Appeals Chamber. A critique of the decision has just been published by the NGO Article IXX. Hartmann was convicted for contempt resulting from publication of certain information that she had obtained while employed by the Tribunal's Prosecutor. I wonder how far the long arm of the Tribunal reaches in this respect. Hartmann was an employee and so she was a bit like a whistle-blower. But suppose an academic like myself were to reproduce what Hartmann had written in an article or on my blog? Or even additional information of a confidential nature that I might obtain because someone sent it to me anonymously? After all the fuss, Hartmann was fined EUR 7,000. Maybe it is worth seven grand to find out! The International Centre on Human Rights and Drug Policy is currently seeking submissions for the second edition of the International Journal on Human Rights and Drug Policy. The Journal is the first and only international peer reviewed law journal focusing exclusively on human rights and drug policy issues. Established in 2009, the International Centre on Human Rights and Drug Policy is dedicated to developing and promoting innovative and high quality legal and human rights scholarship on issues related to drug laws, policy and enforcement. It pursues this mandate by publishing original, peer reviewed research on drug issues as they relate to international human rights law, international humanitarian law, international criminal law and public international law. Author’s guidelines, as well as volume 1 of the Journal, may be found at www.humanrightsanddrugs.org or email info@humanrightsanddrugs.org. Deadline for the second edition is 15 November 2011. Ten days ago, the Sunday New York Times had a column by Joe Nocera about Harold Burson, who had been a US Army reporter at Nuremberg. Burson went on to become a very important advertising executive. Burson kept the radio scripts that he wrote, and that were read by others over the armed forces network. I’ve now tracked down some of them, on Burson’s own website. The famous Hiroshima dome, which survived the blast on 6 August 1945. I spent the weekend in Osaka, where I delivered the keynote speech to the Japanese Society of International Law on transitional justice and international legal norms. Here is a copy of the text, which I understand will be published soon. On Sunday, two colleagues (and close friends), Shuichi Furuya and Keiko Ko, took me to Hiroshima. It was something that had been on my personal list of things to do for many years. 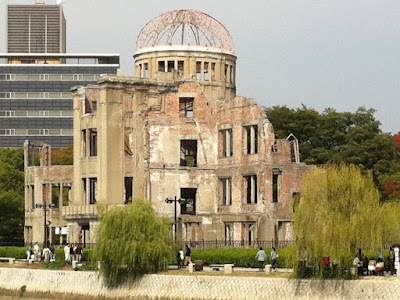 I think it so important to see places like Hiroshima where atrocities have been perpetrated. Today, Hiroshima is peaceful, and the site where the bomb was dropped is a serene park. There is an exceedingly modest memorial, and an eternal flame. I think the memorial is located directly below the point where the bomb was actually detonated. 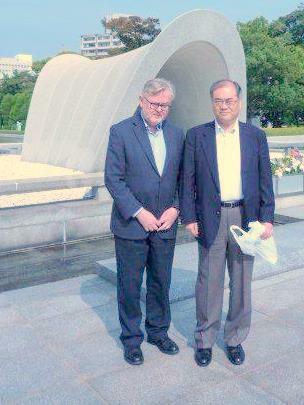 Shuichi Furuya and myself at the memorial to the victims of Hiroshima. We spent most of the time in the museum. Given our contemporary interest in memorialising atrocities, it is of course fascinating to see how this has been done in Hiroshima. Nowhere is it suggested that the use of the bomb was a war crime. The issue is not even discussed. Rather, it is treated as an inevitable consequence of the war which had a terrible human cost and which is not to be repeated. There is a curious, parenthetical reference to the Nanking massacre. The exhibits note the military significance of Hiroshima, adding fuel to the argument that the bombing may have been legitimate. In 1996, the International Court of Justice issued an advisory opinion on the use of nuclear weapons. Although it did not totally exclude the possibility, the Court defined a narrow scope involving an extreme case of self defence that could never be extended to Hiroshima. Some day I will try to get to Nagasaki. It has always seemed to me to be in some ways the worse case of the two, because even if one accepts the need for the Americans to resort to the nuclear bomb, using it a second time was purely gratuitous. Still, Hiroshima is iconic, etched in our minds as the supreme manifestation of the horror of war. Readers of the blog will know the importance that I attach to the human right to peace. My visit to Hiroshima only strengthened this. We left Hiroshima in the evening and took the shinkansen (bullet train) back to Osaka, where Professor Furuya and Professor Ko had located a sushi bar near the hotel. 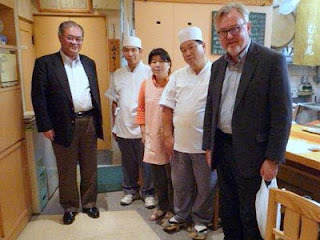 We had a wonderful final dinner, and a nice chat with the sushi chef. Japanese hospitality is really unbeatable. I should add that I also had a very nice visit with Hitomi Takemura, who is one of the doctoral graduates of the Irish Centre for Human Rights, and who is now an assistant professor in a Japanese university. Caroline Morris and Cian Murphy have just published a very fine guide to doctoral studies in law. Published by Hart Publishing, they say it is for students in the United Kingdom, but I doubt there is anything in it that would not also be applicable to Ireland. It answers many questions and provides much invaluable advice. I don't think that a doctoral student should be without it. It sells for GBP 20, or about EUR 23. It is well worth this small expense. Hart has also just sent me a new publication entitled Research Methodologies in EU and International Law, by Rob Cryer, Tamara Hervey and Bal Sokyi-Bulley. Like the other volume, it is very strongly recommended. The price is about GBP 23, or EUR 27. Against, a modest amount that will pay itself back quickly. Middlesex University’s Human Rights and Business Speaker Series As part of Middlesex’s Human Rights and Business Speaker Series, Professor Bruce Broomhall from the University of Quebec at Montreal (UQAM) will give a talk on "Resource Conflicts, Corporate Responsibility and Global Rights Protection: Côte d'Ivoire's Cocoa and the DRC’s Mineral Wealth”. Please RSVP to Christiana Frandzis (c.frandzis@mdx.ac.uk by Thursday 13 October. Yesterday, a Trial Chamber of the International Criminal Tribunal for Rwanda issued its judgment in the so-called ‘Government case’, where four former ministers of the Rwandan government were defendants. An astonishing result: two of the four were acquitted. The other two were convicted and sentenced to lengthy terms. As is so often the case with the Rwanda Tribunal, we have a pressrelease but no judgment. There will be one eventually, of course. But this practice of rendering judgment by press release with a judgment to follow is not very good. It is not the longest trial at the Tribunal, but comes close to setting a record. The length is especially troubling given the verdict. The four accused have been in custody since 1999. Twelve years is a very long time to be in custody when the result is an acquittal. Does anybody know of a case where people were detained for longer than twelve years and then acquitted at trial anywhere in the world in any functional justice system? Over the years much criticism has been levelled at the Rwandan justice system, where men and women were held in detention pending trial for lengthy periods. By, the Rwandan justice system compares well to the International Tribunal in this respect. The trial itself began in 2003 before Trial Chamber II. It was a saga of missed targets at virtually every stage. In 2005, the President of the Tribunal reported to the Security Council that the trial would be completed in 2006 (see UN Doc. S/2005/782, p. 19). In 2006, he said it would be completed in 2007 (see UN Doc. S/2006/951, Enclosure, p. 17.). In 2007, he said it would be completed in ‘mid-2008’ (see UN Doc. S/2007/676, Enclosure, p. 17). In late-2008, he said judgment was expected in 2009 (see UN Doc. S/2008/726, Enclosure, para. 10). In late 2009, the President of the Tribunal informed the Security Council that the judgment was now expected sometime between September and December 2010 (UN Doc. S/2009/587, Enclosure, p. 76). The evidentiary phase of the trial concluded with a site visit to Rwanda, in October 2008. Closing arguments were heard during the first week of December 2008. So the Trial Chamber has had the matter under consideration for thirty-three months, from December 2008 until September 2011. And after all of that, the best it can come up with is a press release. Surely if there was to be a unanimous verdict of acquittal in two of the four cases, they could have released these men long ago. Did the judges only decide to acquit in the last few days? They can't argue that they needed to finish drafting a lengthy and complex judgment, because all they have given us is a miserable press release, something that can be drafted in an hour or two. Perhaps we will know more about this troubling story when the judgment is finally issued. But we are due an explanation from the Trial Chamber for this extraordinary story of delay. As for the two acquitted men, who will surely ask for some form of compensation, they will be told that there is no budget or provision for such things, and that they should be happy with an acquittal.